Music Selection is what I hope to be a monthly series I will deliver unto you all my personal Japanese pop picks for the month gone by, in both music and video. Included will be a little bout of spiel as to why I enjoy the songs and / or videos included in this list, as well as to give you an idea of what songs to look out for. Of course, just so you know, all songs and videos are subject to my personal opinion, and I do not expect you to enjoy what I like. I simply want to share here what I love, and to hopefully introduce you to something new and different to listen to if you have yet to hear it. Also, just to note, there may be a point in some monthly posts where I may take a U-turn and look back at older songs released from other months or years, even eras, that I have revisited during a specific month. It's a bit like a nostalgia kick, and may potentially introduce you to a song that you may have never known existed! Woo! Song Selections is the name, and suggesting is the game!... Kinda. The month of February was an abundance of good music. I enjoyed a good deal to be honest, though some stood out more than others, and were definitely played a good deal over the rest. So, for February 2016, I have gathered my favourites, handpicking those that were, to me, the cream of the crop. Wanna get rolling? Let's take a listen! Honestly, there was no way this list was going to happen with DEEP GIRL's I Kill in here, because let's be real; this is an amazing song, and it is deep as heck, especially when you pair it with that amazingly dark video they created. It's a great song, and it's one I keep thinking back to and singing to myself. And, given that I rarely listen to these types of songs, it is a surprise for myself to enjoy a song like this so much. It really does give an impact; it's loud, brash and it's there. You can't ignore it, nor can you deny how powerful it is in sound and meaning. It's amazing in every way possibly. Listening to it makes me feel on edge and jittery, yet it exhilarates me at the same time. It is bloody awesome, and I am so glad that I was able to watch the video and experience a song this great back in January. If there is any song that should be my top pick for February, honestly, it is I Kill. I've thoroughly enjoyed it, playing it many times throughout both January and February. It's already a solid favourite in the songs I have heard so far for 2016, and yeah, it's one of the best I've heard this year, too. If you haven't listened to it already... well, go ahead and listen! It's worth every second of your time. Surprise, surprise; HouPri are here! 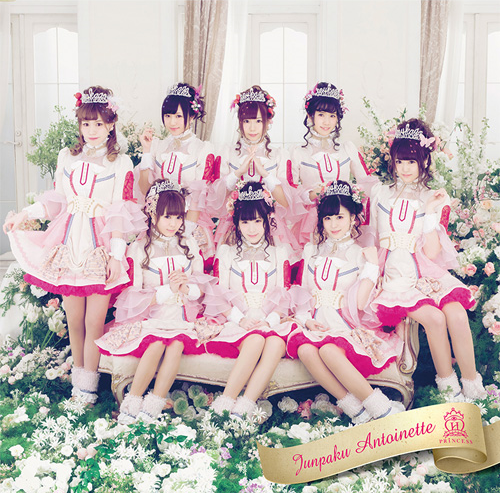 The first single release for 2016 from my favourite Idol group, Junpaku Antoinette is a song that sounds romantic and sweet, befitting the theme of Valentines and White Day perfectly. It's also absolutely gorgeous in tone, works with every members vocals (a feat I have rarely seen before in HouPri, surprisingly), and is just amazingly done. It is, in my opinion, one of their best A-side pieces to date, both in song and video. I enjoy every aspect of this song, from Maika's amazing vocals, to that surprise baroque-style bridge that pops up suddenly for the 'waltz' lyrics and ballet dance. It's a weird mash up if you ask me, but oddly enough it works in favour of the song. Pretty in sound, classic in tone, Junpaku Antoinette is honestly one of the nicest songs I have heard from the month gone by, and definitely a treasured favourite from the HouPri line. It's absolutely beautiful. 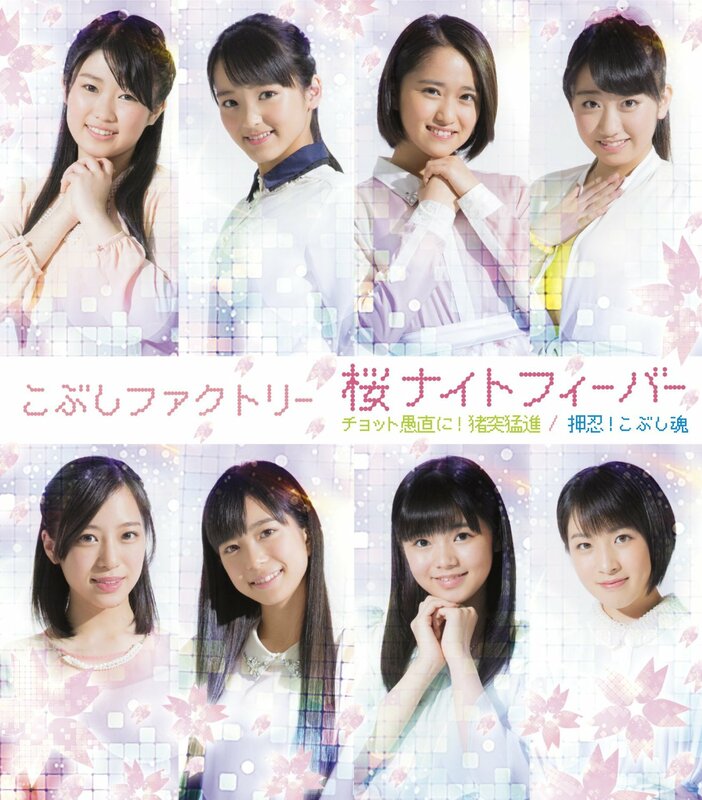 With this being the final single to feature Ayase Miho, it's no surprise that Houkago Princesses b-side track to Junpaku Antoinette would be a graduation themed song, especially when you come to the realisation that Miho is one of the longer standing members with 4 years under her belt. In many ways, I think that this makes the song Sakura saku a lot more bittersweet when listening to it. I adore this song. It's beautifully made, emotional and, quite possibly, one of the groups most gorgeous compositions. I didn't think anything could top how pretty Junpaku Antoinette is, however Sakura saku beats it, hands down, in its beauty and heartfelt message. It's a song that makes me cry, but it is also a song that brings hope and love. For me, this is a wonderful, perfect goodbye for Ayase Miho, and I could not ask for anything better. I'm a big fan of the word 'Cinderella', because whenever I see it, I immediately jump on the book, song or film that includes it. It's a fairy tale lover thing, y'see, so when I saw that this single was titled Cinderella☆Symphony, you can already guess that I jumped on it like it was hot. And yes, I am extremely glad that I did so, because in doing so I managed to find another song from February that I truly enjoy. It's adorable to boot, too! Cinderella☆Symphony is an energised, fun song that makes me feel chipper when I hear it. The cheerful disposition, light-hearted nature and positive delivery makes me feel content as a listener, which is what I want in a song as sweet as this one. It's nothing special, granted, but it is an easy, cute listen if you want something like that. It's simple but sweet, and that's how I enjoy my Idol pop some days, so of course it is right up my alley! Quite possibly my favourite song from the month of February, Zero Tokei is probably one of the most beautiful songs I have experienced thus far this year. Sure, it's early on in the year, but honestly, Zero Tokei is gorgeous in tone, accompanied by Oda's rich and passionate vocals. It's probably my most played song from February, actually, and right next to I Kill, it's also one of my most thought of songs. I completely adore it. 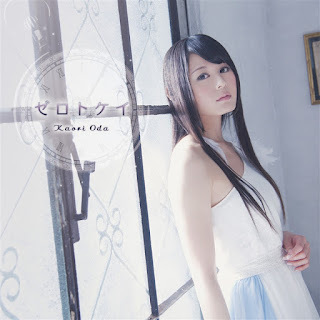 Zero Tokei also happens to be one of my more anticipated songs from the beginning of the year. Since listening to a preview of it via the short music video, I was hooked, impatiently waiting for it to come out. When it did, I've clearly enjoyed it thoroughly, listening to it every other day. It's addictive, and it's pleasant to listen to. It's one of those songs that, once you're hooked, you are never going back on it. It's unforgettable, and it is sublime in all aspects. I love it. Whilst Sakura Night Fever is the least played track on this list, I can't deny that it's one of the catchiest, most memorable songs to come out of February so far, hence why it's here. Filled with Hello! Project nostalgia, this disco song is a bundle of fun, and encompasses the chipper personality of Kobushi Factory, who really do seem to be having a whale of a time with this song. It's a cute, catchy song that is pretty strong, especially since it's coming from Hello! Project. A nice little nostalgia kick for those who have been around the fandom a while, as well as a nice edition to the ever growing Kobushi discography. As Spring has finally come, so have the flower-themed, pastel riddled PV's! Amazingly cute, wonderful to watch and aesthetically pleasing in all they show, February's PV picks has been pretty easy, and definitely great for my keen video-loving eyes! So, behold, the PV's released in February this year that I enjoyed! I wonder what you guys enjoyed, too? Quite possibly my favourite HouPri music video as of now, Junpaku Antoinette is breathtaking in image. It's clean, stylish, pretty to look at and very regal in every way possible. It also returns us to that story book land that was created for Seifuku Cinderella, going back to the whole 'fairy tale' feel that Universal are playing with right now. It's a really sweet video, and definitely one of my most anticipated MV's of early 2016. I love everything about it, and yeah, I wouldn't change a thing! It's AKB, so of course it's going to be pretty to look at. Sure, the song and most featured members lack substance, but I'm looking at the clothes and location, not them specifically, and honestly, it's all very pretty. Bright, pastel, flowery and pretty... even if it does remind me of a really high class brothel, sometimes. Seriously though, I do enjoy this music video and find it really fun to watch. The pacing is nice, the costumes are cute to look at, and the overall theme is great. I just wish the members in front of the cameras were a lot more appealing, is all. I did not know what the heck I was in for when I watched this video, and at first I was highly confused, but extremely entertained. I watched it again to try and grasp the weird lyrics, and found they made sense (oddly enough), and fit perfectly with the video. The song itself still weirds me out, but honestly... pastel colours!? Game theme!? HP and MP!? I AM IN! This is a really fun video that is bright and adorable in every way possible, with some terrible but cute graphics and some great girls leading you throughout. I honestly think I've gained diabetes just watching this video, it's so sweet! I enjoy it a lot, in all of its weird glory, and enjoy all the personality these girls bring as a group. They're irresistible, and definitely should be given a chance! Also... cutest debut PV ever! Honestly, I am mostly putting this here for the song, because I absolutely adore Ryusei Flashback, but heck, even the PV is nice, if you're the sort who appreciates something simple but well done, and yeah, I'm the kind to enjoy simple PV's. We all know this, it's no secret, and I do enjoy this MV. It's well paced, stylish, and the camera pans... ALL THE CAMERA PANS! What makes this music video is the girls themselves, though. Fullfull☆Pocket are one of those absolute rarities in young indies Idol groups where they are absolutely flawless in their camera presence. They don't look nervous or edgy, but relaxed and professional. They are confident and sure of themselves, and whilst their timing on choreography could use some work, they look great, delivering a stellar performance. This is a group I look forward to watching more of, and so far, they are the 2016 debut group I am most excited for. Bring on some Fullfull☆Pocket! YEAH! And that just about wraps up this months Music Selection! I hope that you have all enjoyed this post, and taken a listen to the songs suggested on here. February has been a pretty good month in terms of music and videos, delivering unto us all a selection of fun music, and great looking PV's! If you yourself have any suggestions for the month gone by in terms of music or videos, please comment them below and let me know! I am always happy to take a chance, and find something new to love and enjoy! For now though, I must leave, so until we meet again, please stay happy and healthy, love life, enjoy music, and of course, Love those Idols!